Image courtesy Urasimaru, Flickr (CC BY-NC 2.0). The colony of the humble ant is an interlaced web of information. With the help of supercomputing, science has recently come one step closer to understanding how such a colony manages to communicate. Ants rely heavily on the use of chemical communication in the form of pheromones. 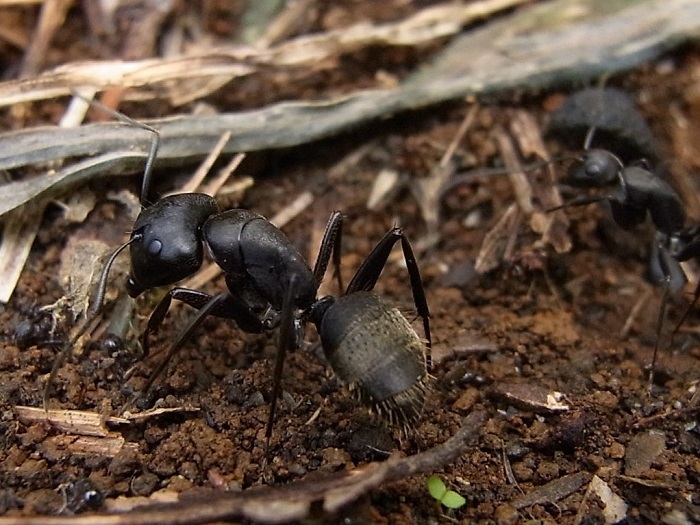 A Japanese research team has analyzed the antennas of Japanese carpenter ants to find out the molecular processes behind this form of communication. Two chemosensory proteins (CSPs) were discovered that were expressed in the ants’ antennas. The team’s finding may be important to further understanding the function and evolution of how ants communicate chemically. Communication between individuals is essential in any organized society, and for ants — whose colonies have been known to contain as many as 306 million worker ants — this is no different. However, whereas human societies most notably use sound, sight, and touch to communicate between individuals, ant societies also make great use of chemical signals called pheromones. 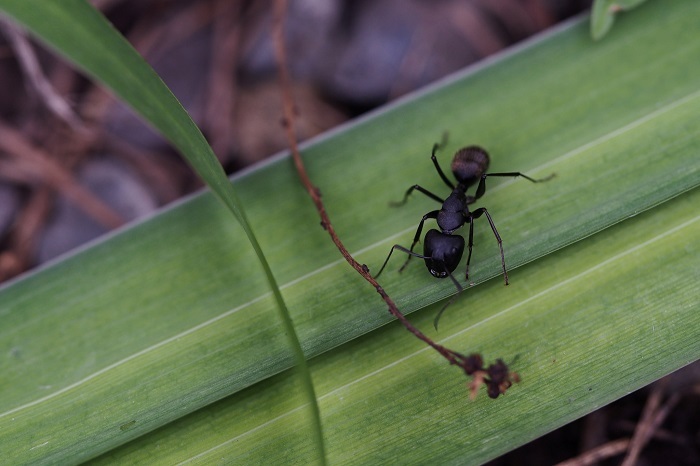 Ants use pheromones in a number of different ways, such as releasing ‘danger’ pheromones upon death to alert nearby ants, or to create chemical trails from their nest to promising food sources. Other ants in the colony can use their antennas to detect these pheromones and respond accordingly. In the study, RNA was extracted from the antennas of carpenter ants. A catalogue of the genes expressed in the antenna was created using a supercomputer at NIBB and a technique called De novo transcriptome assembly. The genes were then analyzed using next-generation DNA sequencing, which found eleven different chemosensory protein (CSPs). Further analysis of these CSPs showed that two of the CSPs, called CjapCSP12 and CjapCSP13, were expressed in the ants’ antennas, and were expressed differently amongst different ant castes, such as workers or queens. These CSPs transport chemical compounds towards chemosensory receptors in the ant, and were found to be co-expressed in the antenna with a previously discovered CSP (CjapCSP1) that is known to bind to chemical signals on the bodies of other ants. “This might play important roles in communications between worker ants” says Hojo. Hojo explains that the team did not possess the genome of the Japanese carpenter ant, and thus the use of high-performance computing was required to sequence the antenna RNA, which otherwise would have taken an unfeasibly long time. The identification of the proteins CjapCSP12 and CjapCSP13 may be instrumental to further understanding the evolution and functioning of the complex mechanisms behind how ants communicate. “This provides a starting point for elucidation of the molecular basis for, and evolution of, the sophisticated communication seen in ant societies,” says Hojo. This research was published in the journal Scientific Reports.